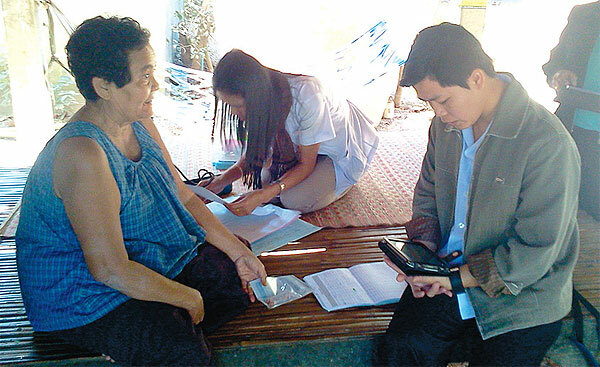 Ubon Ratchathani is now at the forefront of IT utilisation for public health in pioneering a mobile app on Android tablet PCs for healthcare officials to collect household information on patients. Developed by a research team at the National Electronics and Computer Technology Centre (Nectec), the program - Family Folder Collector (FFC) - was especially designed to help healthcare officials collect household information when going out to the villages. The data can be input to an Android tablet PC and synchronised with the existing Java Health Center Information System (JHCIS) database server. 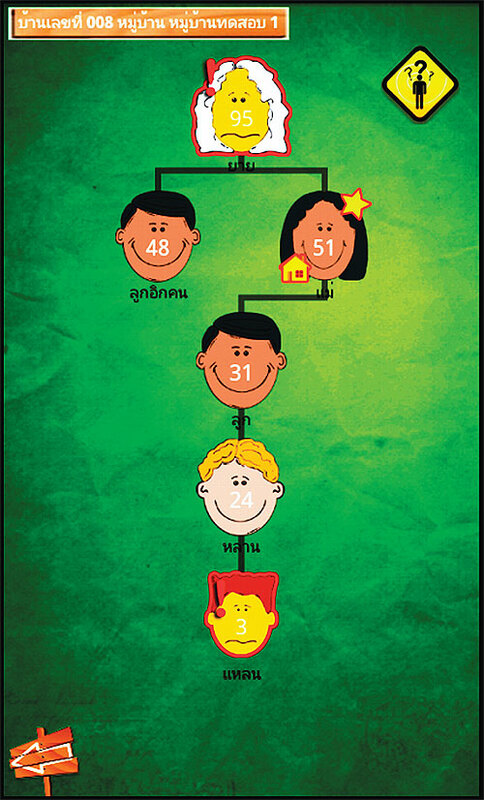 Nectec researcher Watcharakon Noothong said the application comprises three major programs, including a walking map, genogram (a pictorial display of a patient’s health and family relationships) and JHCIS sychronisation. Before gaining access to the JHCIS database system, a user must login with his or her user name and password. After the user has been authenticated successfully, Google Maps will appear on the screen, showing the exact locations of the households the healthcare officials plan to visit using GPS coordinates. 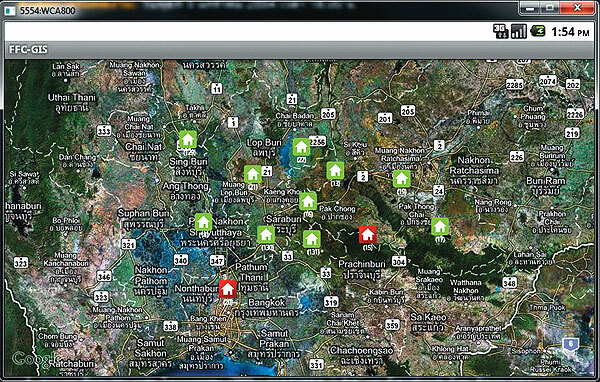 The application can also display genograms and monitor chronic diseases on Google Maps. The status of each household is accented with a colour: red representing a household where a member patient has a chronic disease; green representing a household where no members have a chronic disease. The program can collect and store other vital data, such as a patient’s weight, height, blood pressure and pulse rate, and even calculate a patient’s body mass index (BMI) automatically. For future appointments, the doctors and healthcare officials simply select the menu showing the date and time and what to do with any particular member patient. In the near future, the program will also be able to send an SMS to alert patients to get treatment at the health station. The FFC program greatly helps public health officials collect and analyse information about member patients of each household faster, more efficiently, and accurately. Ubon Ratchathani has the second largest population in Thailand, with around 1.8 million people and 400,000 households. According to Hunsa Chuencupol, chief information officer of the Ubon Ratchathani Public Health Office, the province was selected to be used for the pilot trial of the FFC program because of its IT readiness in providing healthcare services. Of a total of 25 districts, eight are running the pilot trial of the FFC program, which, in its first phase, covers 123 health stations. Prior to the software trial, public health officials were trained how to properly operate and input data into an Android tablet, and how to synchronise it with the JHCIS database server using the FFC Autosync 2011 program. Before heading out, health officials will set the driving route to each household they plan to visit, and prepare medicine ahead of time, thanks to the colour status function on the FFC program. This way, patients need not travel to health stations to get treatment, which is especially helpful for patients with chronic diseases who must take drugs regularly in an exact timeframe. The old process is also more likely to lead to mistakes in updating the database. The FFC application, however, can display and update the patient’s information, including ID number, name, birthday, blood group, allergies and health status, plus take photos of the patients to be uploaded to the JHCIS system almost instantly. Since the application is open and free, all the investment is on purchasing the hardware, which was allocated by the province’s Public Health Office. Currently, each health station has one tablet PC equipped with the program. The FFC application is expected to run throughout the province covering all 346 health stations by 2012. According to Sinchai Tawwuttanakidgul, director of ICT Centre, Office of the Permanent Secretary, Ministry of Public Health, today there are some 45 provinces that are ready to switch from their paper-based system to the FFC mobile application. In addition to Google’s Android 2.2, the ministry is now testing the iPad platform to give users more alternatives.